Workers from Alexandria Shipyard are on trial in an Egyptian military court for taking strike action to demand better pay and conditions at work. They were arrested after staging a sit-in at the yard to call for payment of bonuses, permanent contracts for 36 temporary workers who should by law have already received them and to allow workers to receive promised promotions. 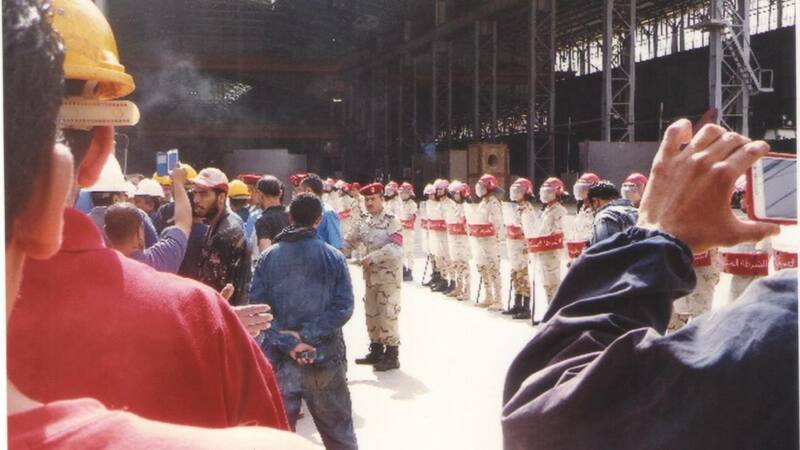 Military police surrounded the workers who took part in the sit-in and arrested 13 of them together with a clerical worker. The trial verdict has now been postponed for the fourth time, and is expected on 18 October. 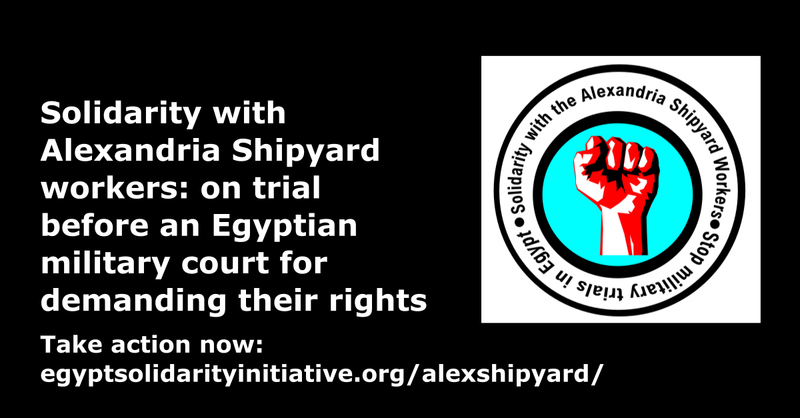 Read the open letter from Egyptian trade unionists calling on the global labour movement to mobilise in solidarity with the Alexandria Shipyard workers here.